The good tidings that the Sufi Message brings to the world is the recognition of the Divine in the soul of the human being. Humanity is one body, the whole of life being one in its source and in its goal, its beginning and its end. The Sufi Order International (SOI) is is a nondenominational spiritual organization rooted in the Sufi Message of Hazrat Inayat Khan, a musician and spiritual teacher from India who first brought Sufism to the West. There are several local centres of the SOI in the Toronto area, operating under the authority and umbrella of the international organization. This section of our website is continuing to expand and evolve, but we intend it to introduce the Sufi Order International, and briefly describe some of the activities and materials that are common to all the SOI Concentrations. It will also provide links to various pages that present more specific and detailed material. The Three Objectives Murshid established for the Sufi order that he founded. The Daily Bowl of Saki is a set of aphorisms for inspiration and meditation. The Silsila of the Sufi Order traces its initiatory lineage. 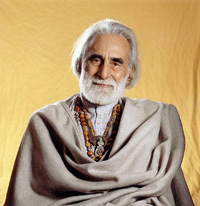 The Abode of the Message is a spiritual, intentional community founded by Pir Vilayat Inayat Khan, which hosts many Sufi Order events. A map showing the location of Sufi Order centres worldwide. A video introduction to the Sufi Order, presented as a set of five clips. A short history of the Sufi Order International and the origin of some of its traditions. Short biographies of Pir-O-Murshid Hazrat Inayat Khan (founder of our order), and his successors Pir Vilayat Inayat Khan, and Pir Zia Inayat-Khan. An introduction to the role of initiation and the teacher-student relationship in this spiritual path. A history of the Sufi Order in Toronto. A glossary of terms commonly or uncommonly used in Sufi Order work. A great deal of additional information is available at the Sufi Order International website. For questions and discussion of general subjects and issues regarding the Sufi Order International and its Toronto centres, members of this website can post to the General Sufi Order Topics discussion forum. Otherwise, you can write to us using our Contact Form. Do not take the example of another as an excuse for your wrongdoing.